Happy New Year everyone! I am kicking off 2016 with the start of a new print series. 'Prints of Threes' will feature limited editon print runs of 33, will be $30 each, and will be only available for 30 days. 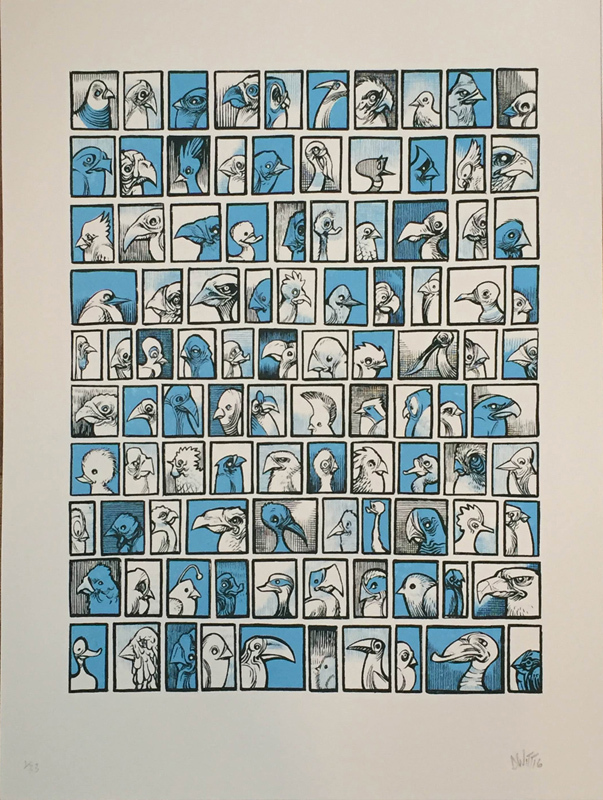 The first print is 101 Birds, and it goes on sale TODAY, Friday Jan 8th at 3pm CST exclusively in the DWITT Market. There you can also find the original art plus 3, one-of-a-kind hand sketched variants. All of this work is only available for 30 days, and will go into the DWITT Crypt after Feb 6th. Enjoy!